Looking for some shade? The 15' 0" awning opens with ease! It doesn't matter if your destination is across the state or across the country, as this rig has a sturdy GVWR of 7600 lbs. and hitch weight of 688 lbs. Stay warm on chilly nights and cool on humid days inside the reliable Catalina SBX 281DDS, thanks to its efficient 13500 BTU a/c unit and reliable 35000 BTU furnace! Feel free to stretch out and walk around freely in this 31' 7" long, 8' 0" wide, and 11' 1" high RV! Stay cozy in the master bedroom with its Queen bed! 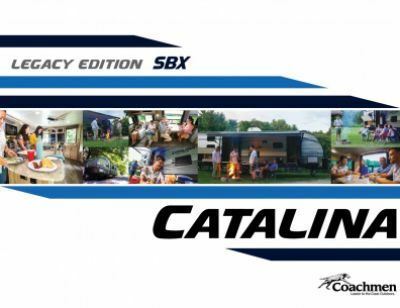 A family of up to 8 people will find comfortable sleeping accommodations inside this RV! The kitchen is fully equipped with modern cooking appliances, so healthy, hearty meals are always within reach! Store your fresh foods in the 7.00 cu. ft. refrigerator, then cook them up on the sizzlin' 3 burner range cooktop! Fill up the 44 gallon freshwater tank for an abundance of clean water throughout your trip! 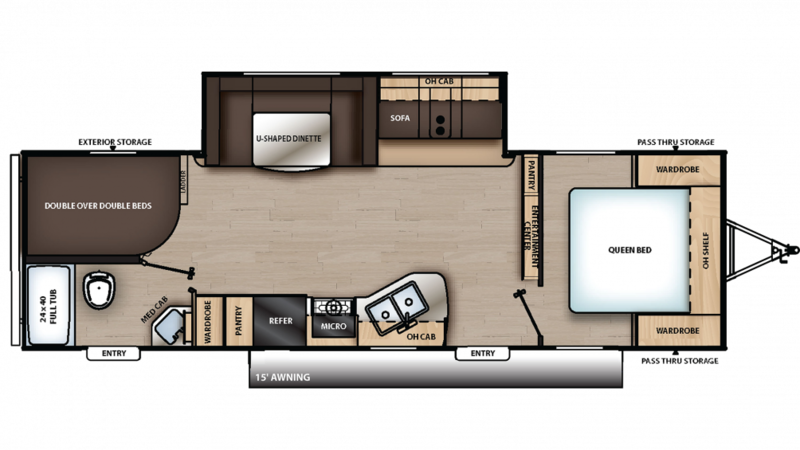 No matter how far away you are from the communal bathroom, you'll always be within reach of a shower and a Marine Foot Flush toilet with this RV because it has its own complete bathroom! There are 40 lbs. of LP tank capacity, so your showers can stay nice and hot all vacation long! You don't have to deal with used water and waste while you're having fun camping, thanks to the big 40 gallon gray water tank and 30 gallon black water tank! When it's time to cozy down and recharge your batteries with a good night's sleep, you'll be glad you've got a roomy bunkhouse for the kids! It's comfy and sturdy, and they'll drift off to dreamland in no time!